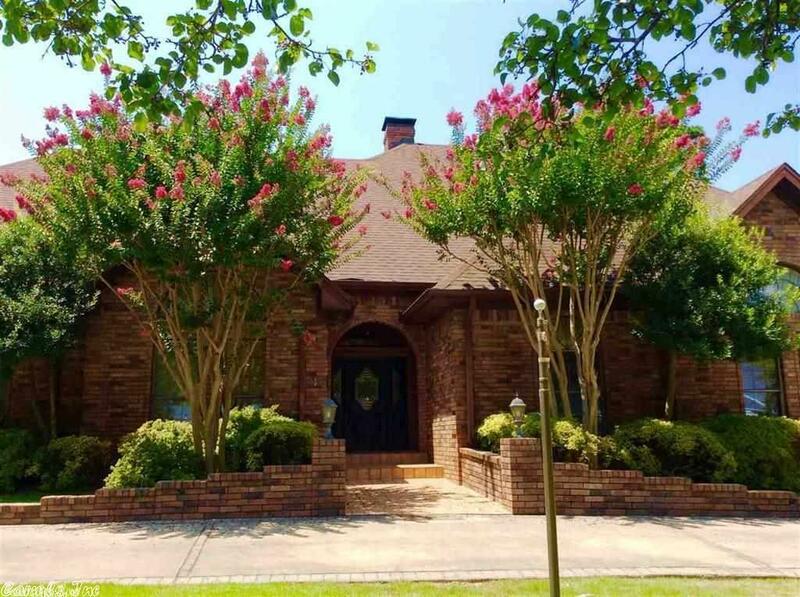 ON GOLF COURSE w/inground pool & hot tub on 1/2 acre lot! Master w/fireplace+3 br on main level, 1 up w/full bath & kitchenette. (additional footage upstairs-plus 800' heated & cooled 3-car garage w/plug in for electric car-NOT inc in footage} 2-Sided Fireplace opens to living & den. Gameroom w/wet bar, windows overlooking sweeping views of golf course. Built-ins. BRAND NEW H/A on main level. All electric levelized bill of $249.47, gas (FP & Grill) $14 minimum charge, water $100 for pool & sprinkler use!